Sandy Kenyon reviews Hunger Games. NEW YORK (WABC) -- The movie phenomenon based on the bestselling "Hunger Games" books comes to a close this weekend, when the fourth and final installment of the mega-franchise hits theaters. But does "The Hunger Games: Mockingjay Part 2" send the story out with a bang? The movie could make as much as $300 million this weekend alone when theaters around the world are included in the total, and luckily, it's a a better film than the cumbersome title might suggest. Her millions of fans know Katniss Everdeen as the mockingjay, a symbol of the struggle against the dictator of Panem, played by Donald Sutherland. The scenes between him and Jennifer Lawrence, played by equally good performers from separate generations, are even more exciting than some of the action sequences. The power that resides in the Capitol is under siege from rebels controlled by Julianne Moore's character, who wants to use the mockingjay for propaganda purposes. But Katniss has other ideas and comes into her own as a leader. There is little trace of the girl who volunteered to enter the deadly Hunger Games three movies ago, and the love triangle that's existed throughout gets resolved when she finally chooses between Liam Hemsworth's Gale Hawthorne and Josh Hutcherson's Peeta Mellark. Peeta has been tortured and mind-controlled, and we spend most of thes film wondering if he's friend or foe. But his scenes with Lawrence demonstrate what has always set this series apart -- the fact we get to know so much about the characters. The "Hunger Games" audience isn't going to care too much about reviews, but fans will find the finale a fitting end to the series with terrific performances. 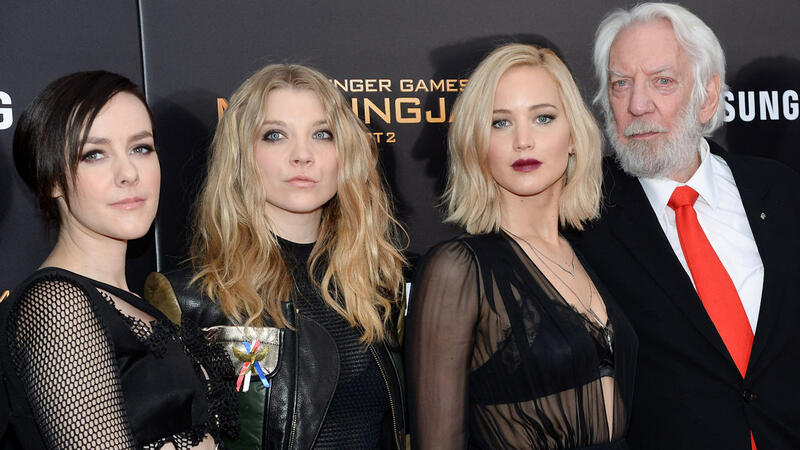 Photos of the red carpet arrivals of the cast for the New York premiere of "The Hunger Games: Mockingjay Part 2"